Since the introduction of bitcoin (an online currency for transaction), many people are still struggling with knowledge of how to withdraw their bitcoin into their local bank account directly without going through exchangers like NairaEx,. Bitcoin makes it easy to send money from abroad to your friends and family in Nigeria. But you need an account with one of bitcoin wallet providers before you can use the service. With a bitcoin account, you no longer need credit card or domiciliary account. Bitcoin was launched for people who run businesses or do transactions online. The first step requires that you visit www.blockchain.info/wallet and click on “Signup or Get Started Now” button so as to create a free bitcoin wallet”. Fill in your email and type in password and password confirmation (make your password to be a mixture of alphabets and numbers). Then click on “CONTINUE” — after ticking the terms of service button. Go to your email (the one you used when signing up) and click on the mail sent to you from Blockchain to open the content. Copy your “Wallet Identifier” and keep it safe somewhere. That is what you will always use whenever you want to log into your blockchain account. Finally, click on VERIFY EMAIL to be redirected automatically to a page showing that your email has been verified. Find your way back to www.blockchain.info/wallet and click on LOGIN. Enter your wallet identifier and your password, and then click on LOGIN. You can write your login details in a reference book for future use so that whenever you forget or misspell them you can easily look into the book. You can fortify your account by enabling additional features such as backup security phrase and adding your phone number. The reason for this is to protect your account from been intruded by hackers. 1. Look for Somebody: You can look for someone who has money in his bitcoin account, and pay him the equivalent. The owner of the bitcoin account will fill in your bitcoin wallet ID with the dollar amount you requested. He will click on next and confirm on the next page. The reverse is the case when you want to convert your bitcoin to naira. You can get buyers of your bitcoin especially e-currency exchangers like naira4dollar. 2. Use e-Currency Exchangers: Many people have affirmed that Naira4dollar is the bomb. They are tested and trusted, and you can pay without visiting their office. But before any transaction with them first confirm from them to know what they have on ground, so that you don’t regret paying to them. LUNO is the current solution for those who wish to withdraw their bitcoin into their local bank account in Nigeria. It was formally called BitX, and it has a wallet for withdrawal. LUNO wallet is safe for withdrawal, and it is directly connected to any Nigerian bank. LUNO displays bitcoin in naira, instead of the usual USD others are using. LUNO system is simple and easy that you can send all your bitcoin from other wallets to it. Press a button to initiate withdrawal, and then wait for six hours for the process to complete. You can use your ATM card to deposit money from your bank account to LUNO wallet instantaneously on their website. Any name you use to register on LUNO should be the name you used to open your bank account so that there won’t be two different names representing one person. To withdraw bitcoin into your bank account, simply rush to the home page and click on “More” under your BTC balance. Click on an option termed “Instant Sell”, put in the amount you want to sell in naira or in BTC, and confirm the amount. After confirming the amount you continue. Your naira or NGN wallet will automatically show your money in naira. To see your NGN wallet, just go to ‘menu’ and click on wallets. Then click on “Withdraw” on the NGN wallet to transfer the money into your local bank account. Input the amount you want to withdraw and proceed. To fund your account, you will see “Fund” on the NGN wallet: click on it and then click on “PayU”. You will proceed to deposit with your ATM card. You are charged a processing fee of N100 on any withdrawal you make on LUNO. First level users can deposit or withdraw maximum amount of N200,000 on LUNO, while the maximum amount to be deposited or withdrawn by second level users is N500,000 monthly. There is a one-time LUNO account verification required before you can deposit or withdraw from LUNO. The requirement is that before you can make any transactions on LUNO, You must first verify your account with a National ID card, Driving license or International passport. The reason for this verification is to have a 100 percent safe transaction. Buy and Download eBook: Bitcoin Profit Secrets for only N3,000. 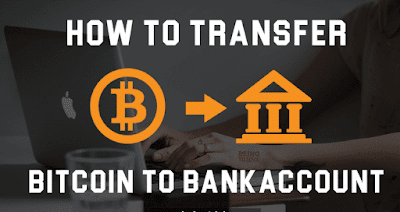 Have you seen in this post that transferring bitcoin to a Nigerian bank account has now been made easy? I hope you will no longer struggle with how to withdraw your bitcoin. If you have truly been inspired by the information in this post, you can drop your comment in the box below. 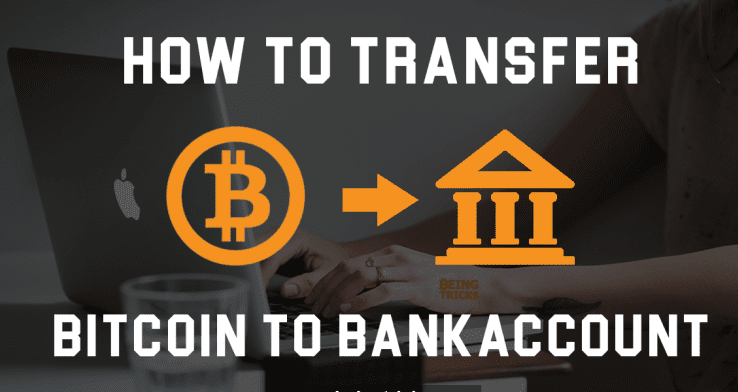 If you know another way one can transfer bitcoin to a bank account in Nigeria that differs from the one you’ve read from this post, you can let us know.